Up until now, East Africa - long referred to as the cradle of humanity – was thought to have been the place where the last common ancestor of chimps and humans lived 7 million years ago. But the commonly held theory could have been out by 200,000 years, and the location may have been Europe, not Africa. An international team of researchers at the University of Tubingen in Germany published two studios yesterday in the journal Plos One supporting the new theory. 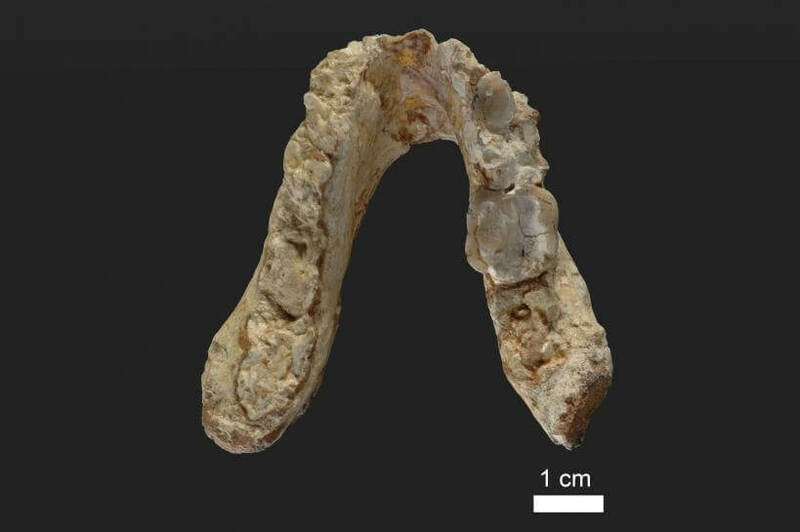 It’s based on fossils from Greece and Bulgaria of an ape-like creature, known as Graecopithecus freybergi, that lived 7.2 million years ago and may be the so-called missing link. The creature’s lower jawbone, discovered in Athens in 1944, and its premolar tooth that was unearthed in Bulgaria in 2009 have been examined using new techniques such as CT scans. Their age was established by examining the sedimentary rock where they were found. "While great apes typically have two or three separate and diverging roots, the roots of Graecopithecus converge and are partially fused - a feature that is characteristic of modern humans, early humans and several pre-humans," explained lead researcher Professor Madelaine Bohme. One of the previous oldest pre-humans was Sahelanthropus, which lived 6-7 million years ago in Chad. The new findings now call into question the belief that hominins originated in Africa. “Our species evolved in Africa. Our lineage may not have,” said Böhme, referring to the fact that Homos Sapiens' African origins 200,000 years ago wasn't being called into question. The study claims the creatures would have evolved in the savanna landscape of Europe at the time, which was much more hospital to ape species than the emerging Sahara desert. "The incipient formation of a desert in North Africa more than 7 million years ago and the spread of savannahs in southern Europe may have played a central role in the splitting of the human and chimpanzee lineages," Böhme added.